With special care and attention, using of most advanced methods and products, our certified specialists, are providing you a wonderful results and the incomparable cleanness, that you deserve. We are happy to offer a same-day assistance. Better Cleaning Company is recognised for its reliable and friendly local rug cleaners Rotherhithe SE16, and the good quality rug treatment services it provides to its private and industrial clients in the location. As an expert cleaning services provider we are prepared to clean every kind of rugs (wool rugs, natural fibre rugs, hair-on-hide rugs, cotton rugs, synthetic or blended rugs) and get rid of a wide variety of stains (wine, coffee, tea, beer, drawing paint, urine, greasy food leftovers etc.). We are knowledgeable and equipped to deal with even asian rugs, delicate rugs and costly rugs properly. For your additional assurance, all of our services are completely covered by insurance. For that reason, if you require any sort of cleaning and stain elimination support for your rug, bear in mind to order our expert services today! If you are looking for risk-free and trusted steam rug cleaning Rotherhithe or maybe dry rug cleaning Rotherhithe SE16, we are in a position to help you through the complete week. The cleaning specialists use a specialized warm water extraction equipment to wash and rinse your personal rug in case it could be handled with water. 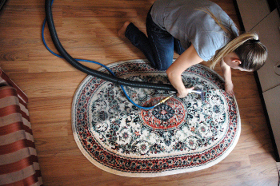 For further special rugs, they will perform a safer dry compound cleaning which requires no drying out. For your convenience we have a daily customer care method for simple reservations. Just get in touch with us by phone 020 3746 3201 or send us an online request to receive almost all rug kinds cleaned correctly and securely right now. We have really reasonable rates. Keep in mind, for trusted, inexpensive and insured rug cleaning Rotherhithe SE16 call us! deposit is needed.